Your employees have been working hard all year, and while they are compensated for their efforts, the end of the year is a good time to show your appreciation. However, you can’t give just any type of bonus or reward or it won’t be appreciated or even remembered. Depending on the age group, there is an expectation of receiving something. Personal recognition is important. Saying “thank you” in person should be a vital part of any recognition/reward program. Companies are not giving rewards or bonuses that create a positive and memorable experience. This is evident in the 1/3 of the surveyed employees who have misplaced, thrown away, or never bothered to even pick up their rewards or bonuses. 1) Doing the same thing every year. While it may be easy for companies to give the same bottle of wine/chocolates/pampering item, employees don’t appear to be that enthusiastic about receiving these presents. Unless you’re giving money, consider doing something different each year. 2) Failing to explain rewards/bonuses. When companies don’t explain that the reward or bonus is a thank you for a job well done, employees aren’t sure why they’re receiving it, which undermines your investment. Employees don’t know if it’s a gift, or something to which they are entitled. 3) Failing to properly plan rewards/bonuses. This isn’t something that the company just throws together in late November/early December. Rather, it should be well-thought out, based on the company’s culture, and it should be something that the employees would want to receive. Joshua Reeves, in an article in the Business Insider, offers additional advice on year-end bonuses. For one thing, he says that employees should be rewarded when something happens – not six months later, and he advocates year-round recognition programs. Reeves also recommends tying the bonus to the company’s goals and objectives. Allowing people to be themselves. Consider letting your employees express their personalities by having a “pajama day,” a “dress like the 70's day,” or even a casual dress day. Giving the gift of impact. Stillman also recommends letting employees know how important their work is. She cites the example of a software company that was training new call center employees. The company brought in an employee from the sales department who explained that his salary was based on how many sales the new hires made during their training period. After this meeting, there was a 20% increase in revenue because these workers saw firsthand how their work affected some of their co-workers. Allowing workers to take a nap. This may sound strange, but rest assured that such companies as Proctor & Gamble, Google, and The Huffington Post are realizing the value of letting their employees snooze during the day. Creating a flex work plan. Consider letting employees occasionally work from home. They’ll appreciate not having to deal with the emotional and financial hassles of coming to the office every day, and according to the Society for Human Resource Management, your workers will also be happier and more productive. 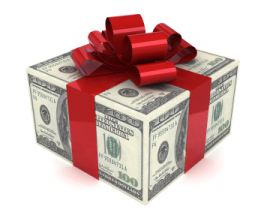 Christmas and end-of-the-year bonuses should be well-thought-out and relate to the company’s goals. They should also include a personal thanks, and be something that employees will actually enjoy. When done correctly, Christmas and end-of-the-year bonuses can help to increase employee engagement and also increase productivity. Terri Williams began writing professionally in 1997, working with a large nonprofit organization. 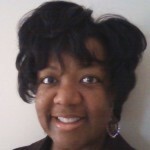 Her business, education, and lifestyle articles have appeared in various online publications including Yahoo, USA Today, The Houston Chronicle, U.S. News & World Report University Directory, The San Francisco Chronicle, and the Center for Digital Ethics and Policy at Loyola University Chicago. Williams has a Bachelor of Arts in English from the University of Alabama at Birmingham.